They are cute, scented toy ice creams and cupcakes; some of them are motorized so that they can be raced against each other, and - randomly - some are little pots of lip gloss (those two varieties are the Noms). 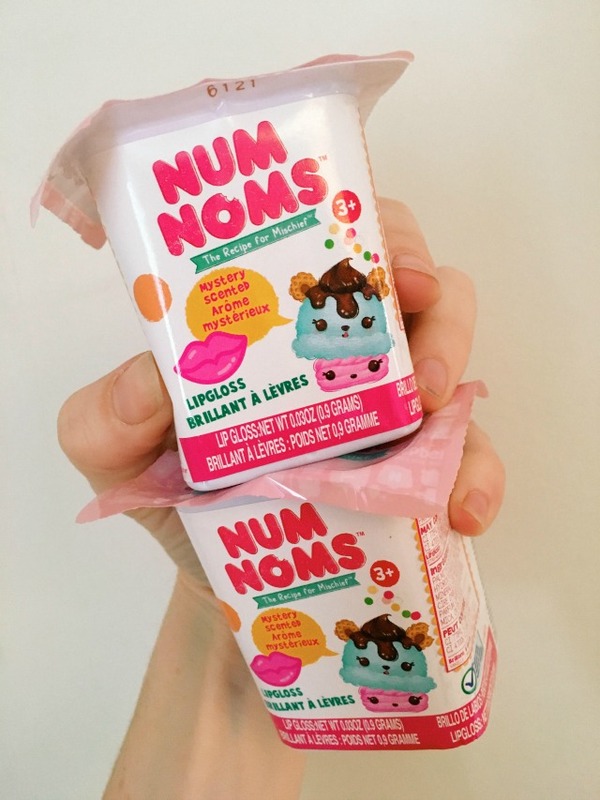 Then the Nums are squishy characters that fit over the top of the Noms and can be mixed and matched to make huge ice cream sundaes. You know, the usual. Although that most likely sounds like the weirdest toy combo EVER to you (it does to me!) Daisy and Evie are OBSESSED, and so are lots of other kids at school. So much so that they even have a Swapsie Club - and the second series hasn't even landed yet! We were sent a box of them as they launched and have been adding to our collection every week since (apart from one where The Entertainer had SOLD OUT! Shock! Horror!). The little yoghurt pot singles retail at £3 each so the girls can spend their pocket money on them, but they also come in larger packs that cost upwards of £8.99. We were sent a starter set to review (but my children have since bankrupted me by making me up their pocket money from £2.50 a week to £3 so that they can continue to add to their collection). As always, all words are honest and my own. Perfect Summer Sandals - and they're in the sale!